It’s been a pretty big week for our boy Bigfoot, He’s got a brand new video out. 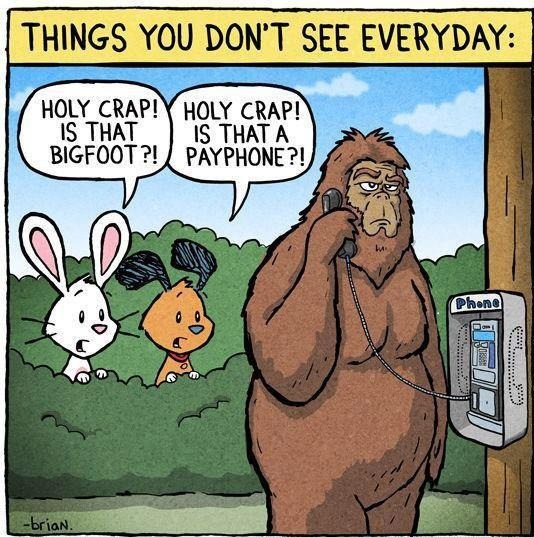 Bigfoot’s been camera-shy ever since he got that disastrous Brazilian wax. He’s also had some big audiotape news. On BigfootSounds.com, R. Scott Nelson (a retired Navy linguistics expert) claims to be able to speak Sasquatch and has posted his own phonetic Bigfoot alphabet. The crypto-linguist has recently translated recordings of the legendary Berry-Morehead 1970s audiotape of Bigfoot speech. The transcript reveals that – like 68% of other overweight Americans – Bigfoot is obsessed with food.